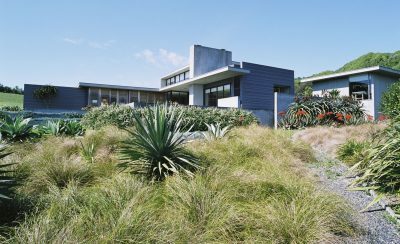 This single-story family house is located on the beachfront of Hot Water Beach on the Coromandel Peninsula. The house takes the form of two fanning wings linked by a stained glass entry creating a central garden courtyard that is protected from sea breezes and orientated towards the afternoon sun. 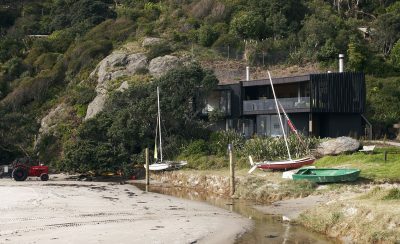 The house is an elaboration on the theme of the New Zealand ‘Bach’ with it’s mono-pitch roof, black cladding and large verandahs. It floats off the ground in the tradition of the classic ‘dune hopper’, giving it a strong sense of appropriateness to its context. The main living areas and master bedroom are stretched out along the beach frontage and open out onto a generous verandah. 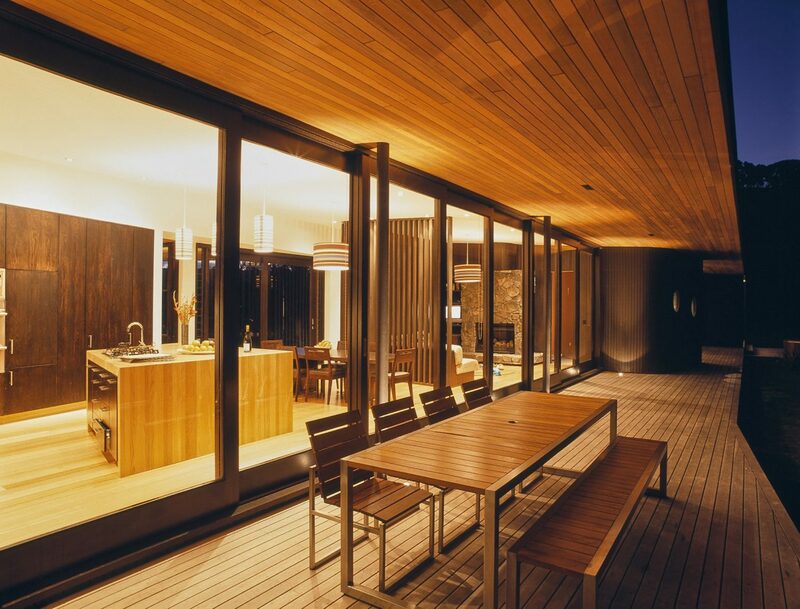 The spaces are encased by a continuous timber ribbon wall that weaves through the plan appearing both inside and out. A restrained interior materials palate featuring Tasmanian Oak floors, painted plywood ceilings, dark timber kitchen and built-in furniture is combined with a black and natural cedar exterior to give the house a relaxed air. Subtle nautical themes are integrated into the design by way of port-hole windows, and hull-like timber forms. 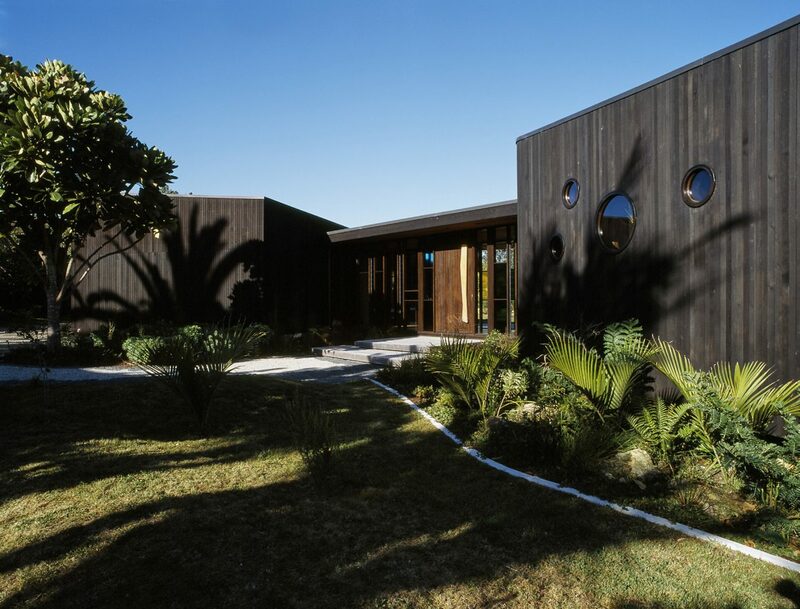 The curved and elongated forms and low roof profiles are intended to reduce the impact on the stunning beach environment, and are harmonised further into the natural setting through a landscaping design which combines rare and interesting sub-tropical and endangered New Zealand native species in the manner of a naturally found ‘coastal grove’.